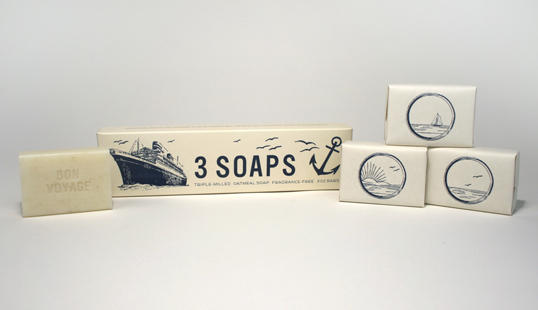 “The latest in a series of boxed soap sets that A/M has created for Izola. Inspired by vintage imagery, the tone is both playful and nostalgic. I like the inspiration in a vintage products of 50s, cool!! This like a efective and good product. 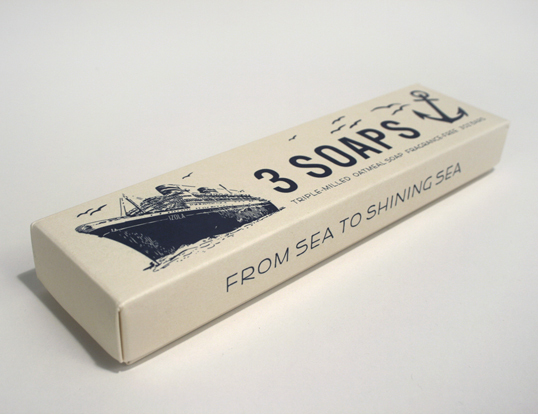 Talk about delicious branding: the package makes me want to eat the soaps.